Medicine is an art and a science. The art pertains to the unique doctor patient relation and trust that is paramount to medical care. We at the Medical Cannabis Clinics of Florida bring this art and science to serve you. 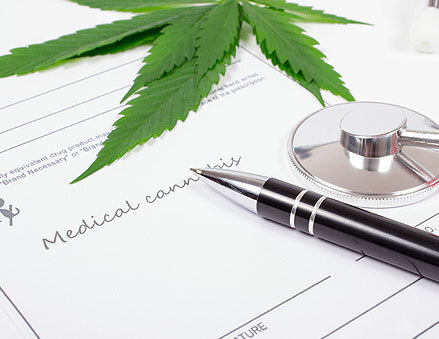 We know that patients who look for medical marijuana have been through a lot. They are suffering from debilitating medical conditions and quite possibly have been taken advantage of by unscrupulous people in their desire to ease the suffering. We started our mission that suffering can be eased with a smile, a selfless and genuine human encounter and medical marijuana when appropriate. While medical marijuana has been around for millions of years, it has finally found approval in the state of Florida for select conditions outlined in our home page. Welcome to a new chapter for humanity! We currently provide services to the South Florida region from our office conveniently located in Delray Beach and easily accessible from I-95 and the turnpike. Our office in Central Florida is located in downtown Kissimmee and easily accessible from I-4 and the turnpike. We soon hope establish other offices in the state of FL. Please feel free to call us regarding the area where you feel we should start our next office.